Research in Motion has been fighting an uphill battle to remain relevant in the handset market for a number of years but according to one report, they will soon concede defeat. RIM is planning to divide their handset and messaging service into two separate entities and sell the handset division, according to Gizmodo as first reported by the Sunday Times (login required). 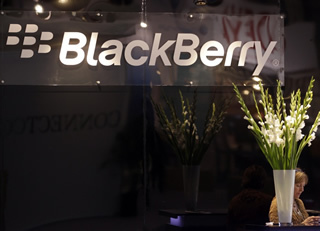 The newspaper claims that RIM would keep the messaging and data capabilities like BBM, BIS and BES but would license out their usage to third parties. This idea to license BBM has reportedly been tossed around before with some inside the company thinking it would help brand recognition while others believe it would give customers yet another reason to switch to Android or the iPhone. The newspaper suggests a few other options as well, including the possibility of selling the business to Amazon or Facebook, handing over the messaging division to Google or Apple if the price is right or continue to remain a single entity but sell a stake in RIM to a large company like Microsoft or someone else with handset ambitions. Forbes points out that none of these ideas are new and some are pretty comical at the core, like Microsoft investing in RIM. After all, they have Windows Phone and Nokia to work with. Adding RIM would seemingly do next to nothing for their handset division. We’re not sure what will eventually happen to RIM but they certainly can’t continue on their current path without changes for too much longer.